Hold Events allow you to keep your calendar in sync as you scheduling meetings. When Hold Events is turned on, Meetingbird will automatically create hold events on your calendar to block off the meeting times you've chosen. 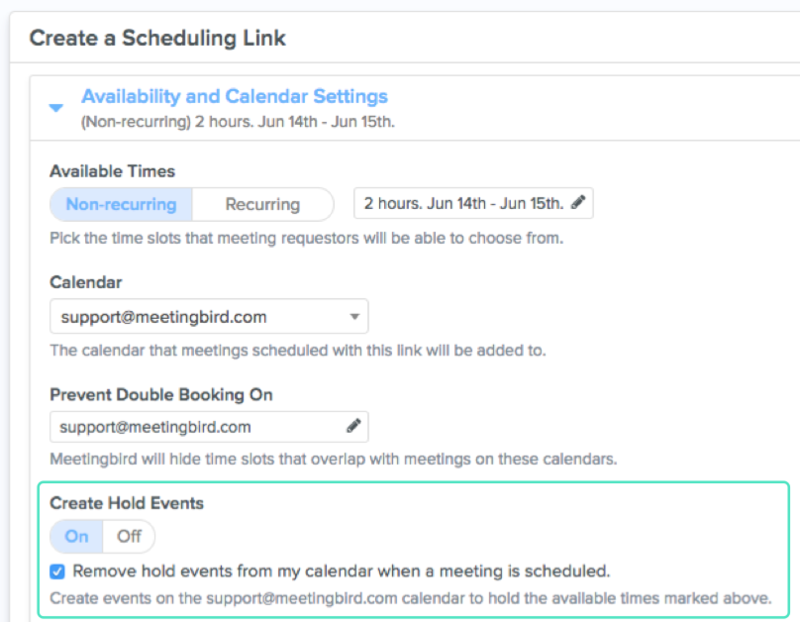 And to prevent clutter on your calendar, Meetingbird can even remove the hold events when the meeting is eventually scheduled. With Hold Events, your calendar is always in sync with your scheduling. Questions about hold events? Reach out to us at [email protected].